When making a statement that you feel very confident about, the alternative of eating ones shirt no longer has to be a tasteless option. 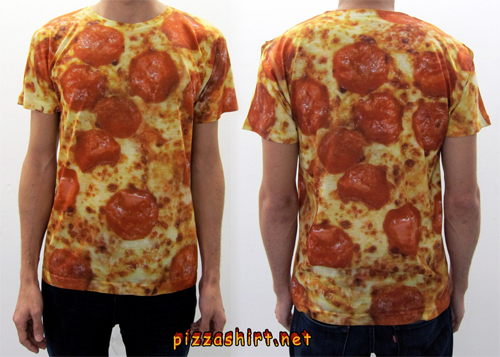 As long as you are wearing the PizzaShirt, that is. Now available in “high definition pepperoni,” the t-shirt is the perfect complement to making bold statements, fashion or otherwise. It’s important for kids to know where there food comes from. 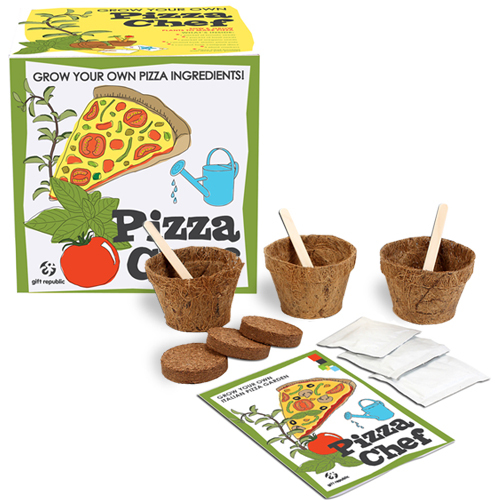 For example, they should be made aware of the fact that pizza grows on trees. They might not believe you (being the bright little critters they can be), so you might just have to prove it to them. Slowly. Frozen pizza is far from perfect. One way to take it to the level might be to literally take it to the next level. One level up, that is. 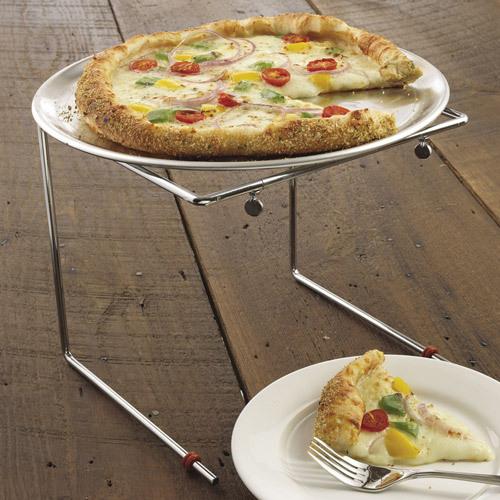 The Pizzacraft Pizza Stand with Round Aluminum Pizza Pan mimics a pizzeria style dining experience by allowing for the pizza to be raised above table height. Populate the newly-exposed table space with toppings, seasonings and grated cheeses and perhaps the illusion will help that one-dollar frozen pizza go down easier. But probably not. Read on for product details. 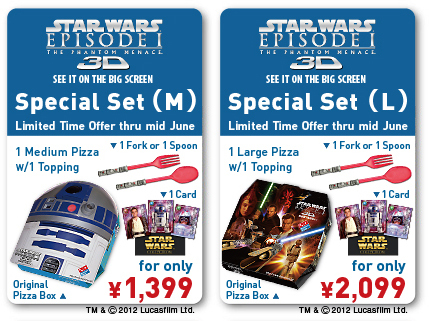 When is $300 for a slice of pizza a good deal? 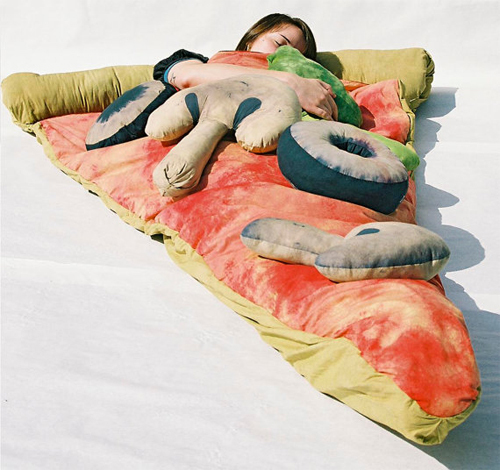 When it is a handmade Pizza Sleeping Bag of course. Etsy user brookish7 created this masterpiece and then put it up for sale. Not surprisingly, it didn’t last long. 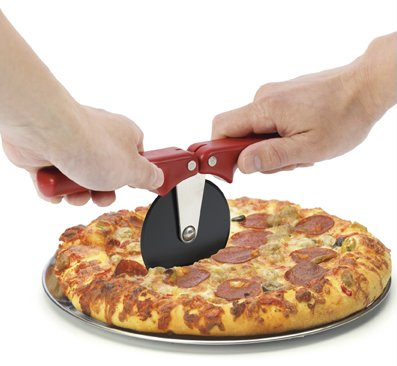 Looks like that (oh-so-common) dream of curling up with the perfect slice will have to wait a bit longer.